What is Timekeeping and Payroll System? Bundy clock, index cards, manual computation, endless reviews, and finally, the envelopes for the distribution of salary – all these plus a bucket of stress for the officer in charge of the payroll. This is the conventional scenario from the old time payroll procedure. Handling timekeeping and payroll system is one of the most tedious functions of the human resources unit. Aside from the basic pay distributed to each employee, government remittances should be in order and remitted before the deadline. Otherwise, penalty is waiting to be served. Management of data requires time and repetitive routines that one employee may not be capable of handling everything if the organization is quite big. Once the preparation is done, it will be followed by counter-checking by the officers to make sure that the computation is correct. Accuracy, multi-tasking, and familiarity with numbers and the requirements imposed by the company and government are some of the skills needed to perform the payroll job well. The evolution of timekeeping and payroll system software development is supported by every business’s goal to fast track and improve the quality of this specific task. These routine jobs will now be delegated to computers that are run by software. Thus, human errors will now be limited or even eliminated. A timekeeping and payroll system is a software which organizes and simplifies the payroll functions by keeping track of the working hours performed by the employees, computation, and filing of withholding taxes, salary deductions and the overall computation of employee wages. It also records employee vacation leaves and sick leaves, and monitors usages of such on a real-time basis. Report generation is also possible through the help of this tool. The system is automated so you wouldn’t need to exert much effort and time, especially during paydays. 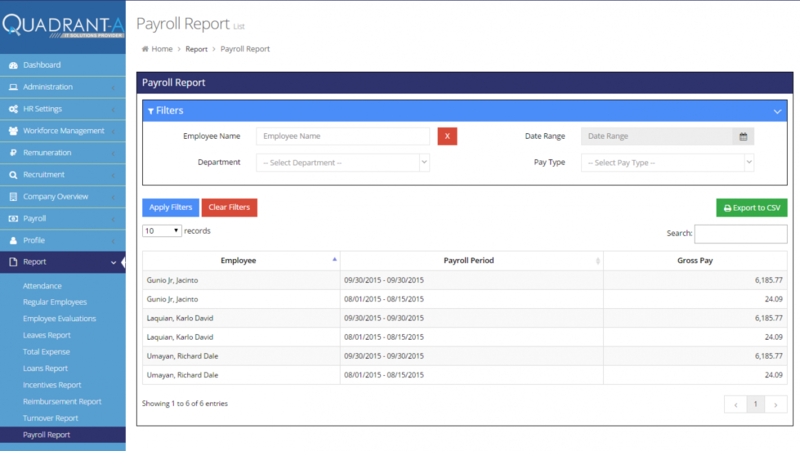 Aside from preparing the content of the payslip, the timekeeping and payroll system also keeps tracks of the employees’ personal information such as the complete name, address, contact details and some additional personal background. Thus, a good payroll system must have tight security. In the Philippines, most of the software solutions are user-friendly to both the employees and employer. Employees are usually given username and password to review their time logs, file for official businesses, leaves, and the like. Once approved by an assigned authority, the data are saved and ready to be extracted for the payroll management, which will then be the basis of the employee’s pay. With just a click away, all the details you need are just within your reach. Choosing the best payroll system that fits the organization is one of the most important decision business owners should look into. Firstly, it is essential to assess the need of the company. 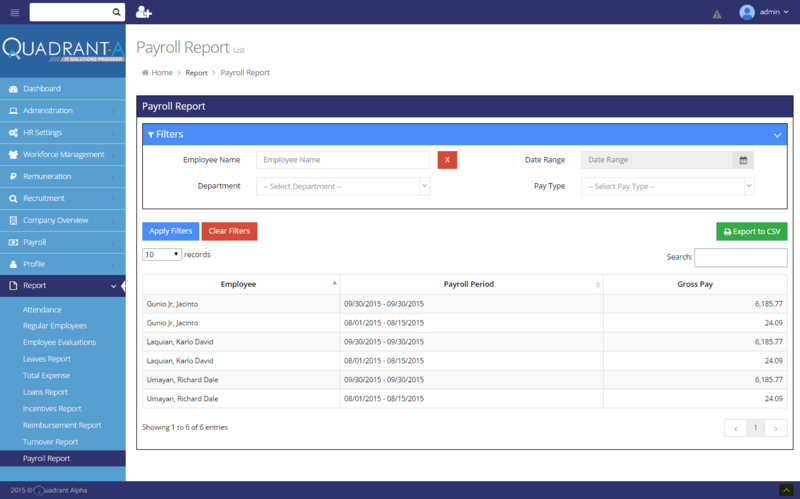 If the company cannot handle manual procedures that are prone to human errors and considering the time allotted for payroll, it is really wise to have a payroll system. Secondly, the budget that the company is willing to allocate. Take note that having a payroll system is a long-term investment. It prevents the company from committing errors especially in government remittances such as taxes, SSS, and Philhealth contributions. Missed deadlines or erroneous remittances and contributions may lead to more serious cases, penalties, and even legal accusations. Having a timekeeping and payroll system is like getting a partner who will work for you within a controlled cost. It offers a wide range of services such as automated payroll, accurate computations, monitored payment scheme and it saves the company from the expense of hiring an additional employee to work on the payroll. Instead of spending time attempting to compute perfectly every payroll details of employees, why not focus on more significant factors for the betterment of the company? Having control of your company’s payroll without wasting time and energy is a big help to business owners. Save more time and money by getting the best payroll system to assist your company for a long period of time. Have you noticed? The topic of salary computation is a very sensitive issue for most people that almost every employee is already aware of the amount that they are going to receive and have already tried to compute their own salary in advance. Thus, even the slightest difference from their expected salary and actual payslip might raise suspicion, which might lead to conflicts with the HR. In the worst-case scenario, this might destroy employee morale, which might lead to all sorts of workplace issues between the company and its employees, all because of manually computing the payroll. With the advent of business software solutions that incorporates the use of biometrics, it eliminates unnecessary conflicts between the company and its employees concerning payroll computation. One software company in the Philippines that offers this specific service is QAlpha, which fully integrates payroll, time and attendance management automation that reduces the need to manually sync employee data into the system. This area of HRIS could also be integrated into a bigger overall business software, also know as Enterprise Resource Planning (ERP).